Enjoy an active day in great environment! 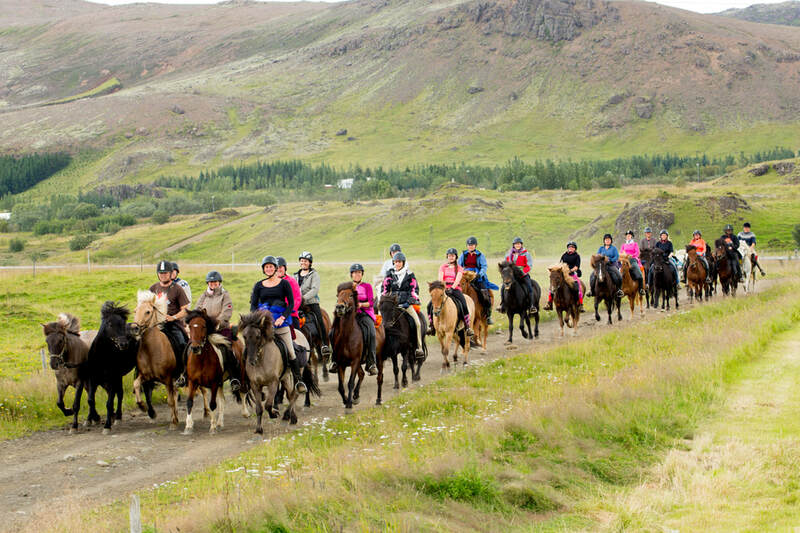 The program starts at our farm with a riding tour through the amazing Icelandic nature. 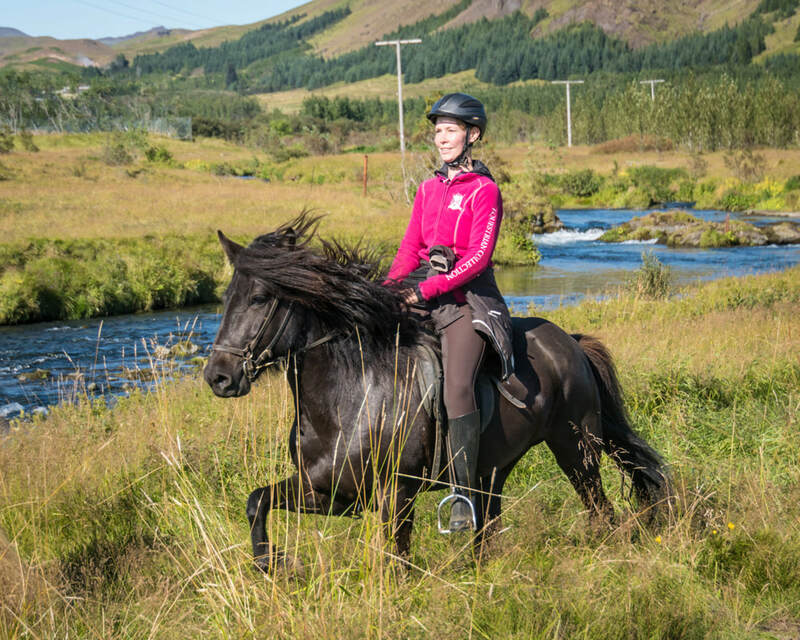 We ride for 1.5 to 2 hours along meadows and lava fields in the charming countryside, followed by a light lunch. 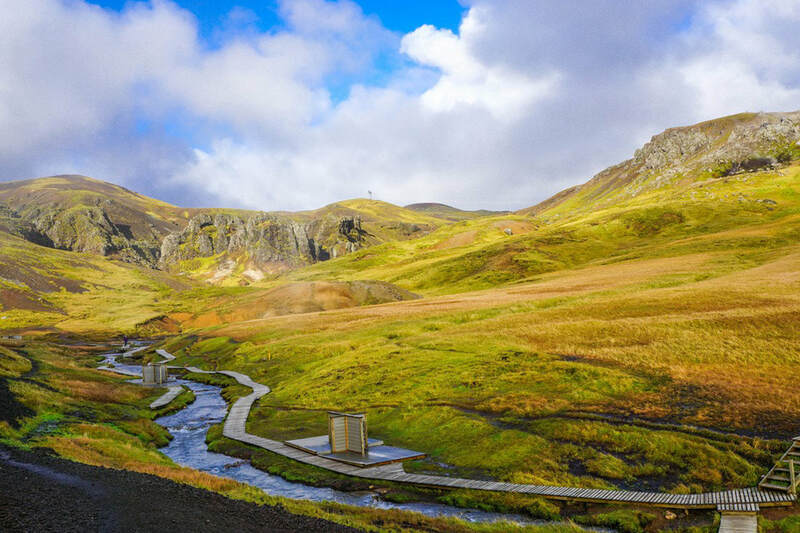 After lunch we drive about 5 minutes to the green hills on foot of the volcano Hengill, just above the village Hveragerði, where we start hiking up into the magnificent geothermal valley of Reykjadalur. On our way we will see the beautiful waterfall Djúpagilsfoss and many hot springs. We also have the opportunity to take a relaxing bath in a warm river, an unforgettable experience! 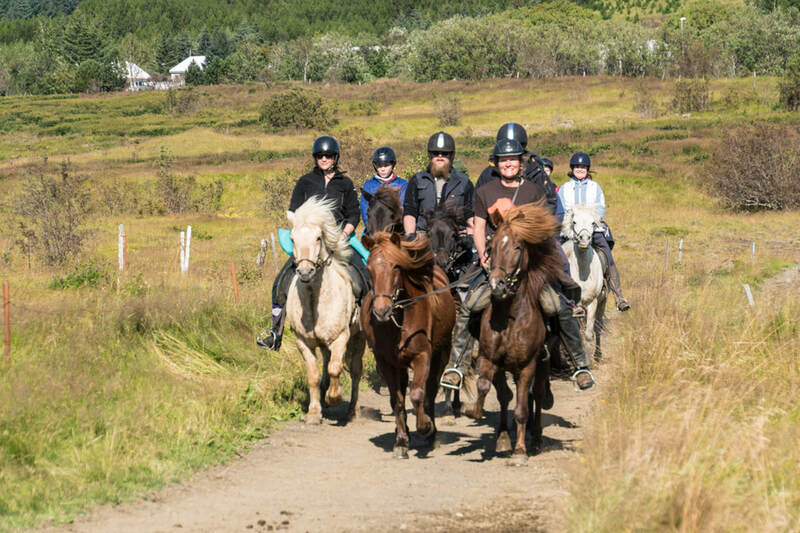 On our way down, we can enjoy a spectacular panorama over volcanic mountains, the picturesque village Hveragerði and all the way down to the coastline, where we might even see the Westman Islands, weather permitting. The tour ends with coffee and cake at the riding center.